Washington, DC can make a legitimate claim to being the most haunted city in America. With its rich history and the parade of passionate, colorful characters that have walked its streets over the past two centuries, it’s amazing the district doesn’t have more ghosts than it already does. 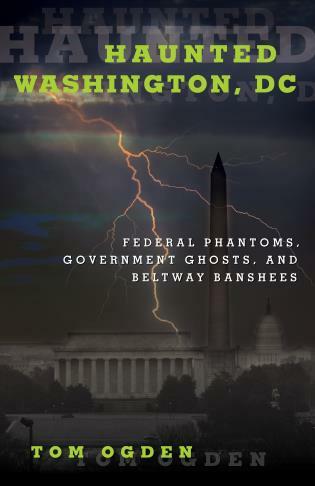 Haunted Washington, DC, a collection of stories of ghosts, mysteries, and paranormal happenings in the nation's capital, will leave readers delightfully frightened. Tom Ogden is one of America’s most celebrated magicians. He has appeared on television specials, such as TheWorld’s Greatest Magic II (NBC) and The Great Magic of Las Vegas (FOX). The author of several books, including Haunted Highways, HauntedHollywood, Haunted Theaters, Haunted Hotels, Haunted Cemeteries, and HauntedGreenwich Village (all Globe Pequot Press), as well as The Complete Idiot’s Guide to Ghosts and Hauntings and The Complete Idiot’s Guide to Street Magic, he lives in Hollywood, California.